well well… there was a time in the beginning of my pregnancy, where i was desperate to know which gender my baby will have. i went to the ultrasound in week 20. to get to know if it is a boy or a girl. that moment was quit disappointing. but than again does this really matter? the fact is i can not change it anyway and i will be loving this little baby no mater if it is a boy or a girl. so my mind has changed and up to now the most important question for me when i visit the doctor is, if it is healthy and developing well in my belly. the rest we will find out in a few weeks. now i am in week 29 and its only 80 days to go. i feel quite clumsy and already hope this last days will pass quickly. when i walk a lot or have a busy day, i can feel a strong stinging pain in my sacrum. also the autumn wind is making me freeze more quickly and i am feeling more sensitive towards the cold. but i still try to be active as much as i can and enjoy the little sun outdoors when it shines. swimming and yoga is helping me to stay sportive and flexible as well as keeping my low blood pressure stable. another little booster i have in the morning is green tea or one cup of coffee in the afternoon if i feel too tired. i still eat a normal amount of food with a little higher portion of sweets such as chocolate or cakes. my weight has increased for 5 kilo and i am quite happy about that. its just about the right amount the doctor said. even if sometimes when I walk upstairs I feel like I have gained a tonne! 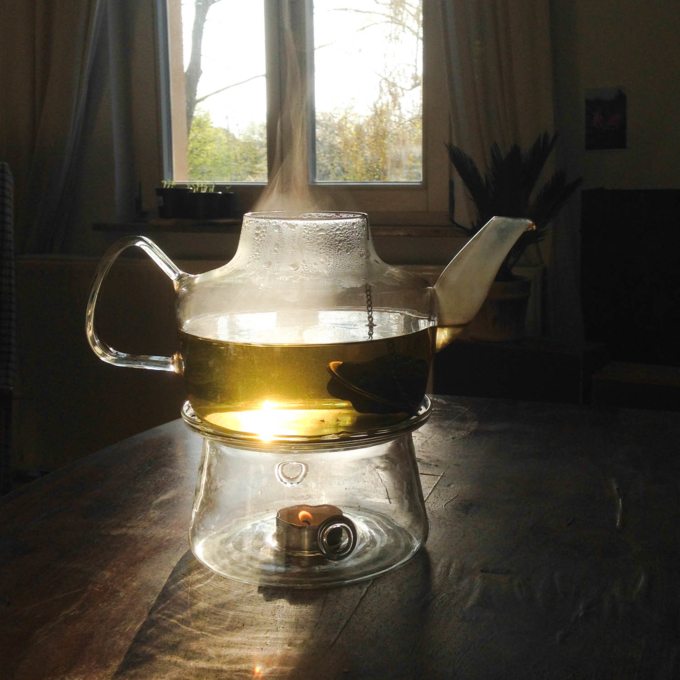 over the day i am drinking one teapot of pregnancy tea from the brand “bahnhofsapotheke”. a friend of mine whose son is almost one year now gave it to me as a present and said it helped her and tastes quite nice. and you know what, she is right, just the other night i had friends invited for dinner and all of them shared a big pot of pregnancy tea with me and liked it! despite the fact that it really makes me feel more soft in my uterus and helps against pangs. the tea consists of nettle herb, raspberry leafs, lady’s mantle herb, st. johns worth, melissa, yarrow and field horsetail. yarrow – supports the blood clotting while labour. it is recommended to start drinking this tea after the 16th week. many midwives and professionals who work with herbs believe that the regular consumption of this tea may help prevent pregnancy complications such as preeclampsia, preterm labor, prolonged labor, and postpartum hemorrhage. i believe that nature has given us exactly what we need to heal all our illnesses and it is such a big gift to know what plant helps and prevent in which situation! so far from my side. are you pregnant too? how do you feel? I am always happy about your comments below. for now I say good bye and i will come back in 10 days after I finished a vipassana silent meditation retreat. I will let you know about this experience afterwards. stay tuned! oh lovely lady, thanks for the love you send via this words. indeed I am so curious too 😉 hope you are doing well!